The Summer is over and so is the WAIT! BRASH! 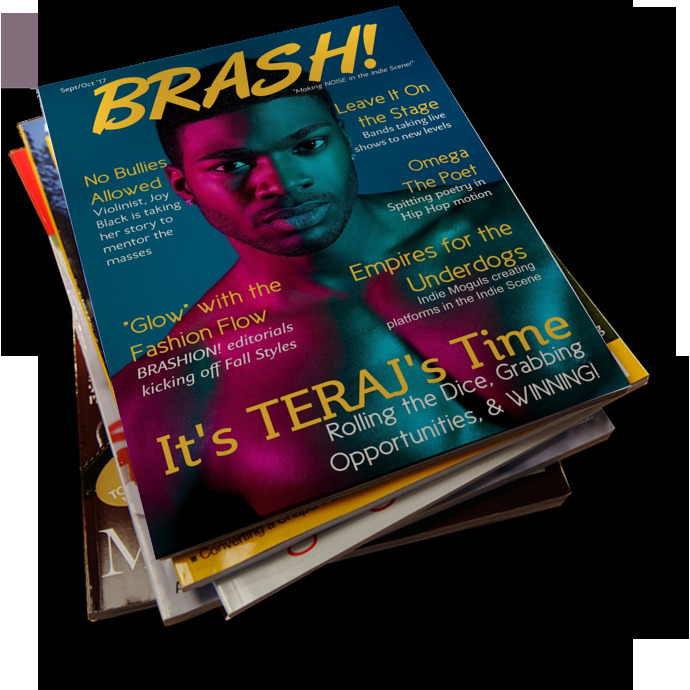 Magazine is starting off the Fall season with new music releases, fashion, and our multi-talented cover artist Teraj! See why we are the #1 source in indie music news and join in on MAKING NOISE in the indie scene with us! Check it out now!